RJ Bartlett Engineering Ltd can complete third party field reviews, both visual and destructive type verification, of the installed through penetration fire stopping systems in accordance with ASTM Standard E2174, “Standard Practice for On-Site Inspection of Installed Fire Stops”, and of the installed fire-resistive joint systems and perimeter fire barriers in accordance with ASTM Standard E2393, “Standard Practice for On-Site Inspection of Installed Fire-Resistive Joint Systems and Perimeter Fire Barriers”. Firestopping systems are a critical part of a building’s overall life and fire safety systems. Ensuring penetrations are properly sealed, in accordance with applicable codes and standards, should be part of the building’s overall commissioning process. 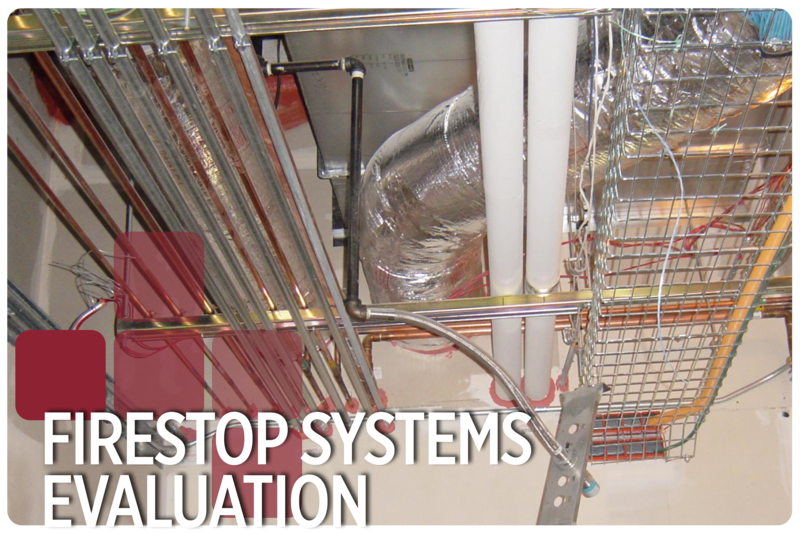 RJ Bartlett Engineering Ltd. is an accredited firestopping inspection agency whose team includes an experienced Firestop Special Inspector that is educated in conducting, supervising and evaluating tests and inspection of firestopping systems. This Firestop Special Inspector has successfully completed the UL/ULC Firestop Exam. Review of drawings and proposed fire stopping systems. Site visit to review and conduct destructive testing on a percentage of systems.